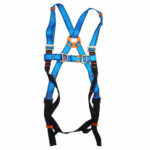 Fall protection harnesses are designed to keep workers safe by preventing and stopping falls. Protier offer a full range of Safety Harnesses for all applications, such as confined space, Rescue Harness, Front & Rear Anchorage, Fire Retardant & Hi Visibility. 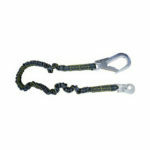 Fall arrest lanyards are designed to connect the person working at height to an anchorage point using the ‘D’ ring on the harness. They can then catch the fall preventing serious injuries. There are multiple types of Lanyards available at Protier, the main categories are: Restraint Lanyards, Shock Absorbing Lanyards, Single or Double Leg Lanyards and Webbing or Rope Lanyards. Users must ensure they have the correct type for their application. Protier offer a full range of multi purpose fall arrest block, which allows uninhibited movement during normal working activity. Inertia Blocks are lightweight & robust, offering a safe and unobtrusive way of preventing a fall. We offer various types of inertia block including: Recovery Block, Stainless construction for offshore, Webbing Blocks for lightness, Blocks certified for horizontal applications. Available in various lengths, conforming to EN 360. 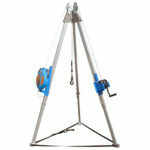 Height safety Tripods and Quadpods are a lightweight portable rescue system for use in confined spaces. Made from lightweight aluminium, they are light, easy to transport & set-up. They can be used for confined space access & rescue. They are available in various configurations such as Fall arrest block, Recovery winch, Man-Riding Winch and Auto descenders. Available in various heights & capacities, contact us for further information. 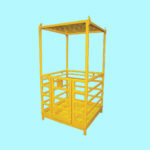 Protier offer a wide range of Manriding Baskets for use with Fork Lift Trucks and Cranes. Manriding Baskets are a safe way of transporting personnel to restricted areas. We offer a range of access platforms to suit all environments. Available as 1 man, 2 man, 4 man, 6 man & 8 man capacities, in material options of Aluminium, Steel & Stainless Steel Man-Riding Baskets. Rescue cages are also available, these are designed for the safe evacuation of personnel from restricted access areas, suitable for crane transportation or forks. Rescue Cages come complete with stretcher that can be secured to the basket ensuring the safe rescue & extraction. 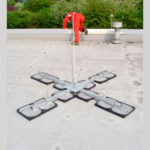 Safesite’s Mobile Man Anchor has been specifically designed to provide short term safety for low frequency operations where guardrails are not provided, such as for maintenance of flat roofs or plant & equipment installed at roof level. 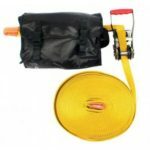 The portable dead weight is extremely compact and easy to assemble, weights are supplied with suction cup rubber boots which protect the roof and increase friction resistance, enabling the anchor to be used on all roof membranes, even in wet weather. 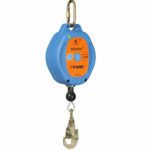 Safesite’s Mobile Man Anchor should be used as a fall restraint system in conjunction with a fixed length lanyard to prevent the user from reaching the leading edge. The Temporary Lifeline is a simple to install horizontal webbing safety line, incorporating a ratchet tensioner. For restraint purposes, the safety line can be used in conjunction with fixed length or adjustable restraint and fall arrest lanyards. The temporary lifeline is supplied in its own bag complete with shoulder strap. Once the lifeline is fitted, the bag remains fixed and can be used for storing surplus webbing. 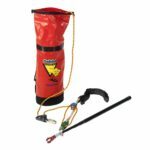 The GOTCHA was the first pre assembled remote rescue kit. Designed for rescuing a suspended casualty from Fall Arrest lanyards, Rope Safety Lines and Fall Arrest blocks, all possible from a point of safety. Casualties can either be raised or lowered to the nearest point of safety, with casualties initially raised to release their original attachment preventing the need for cutting.